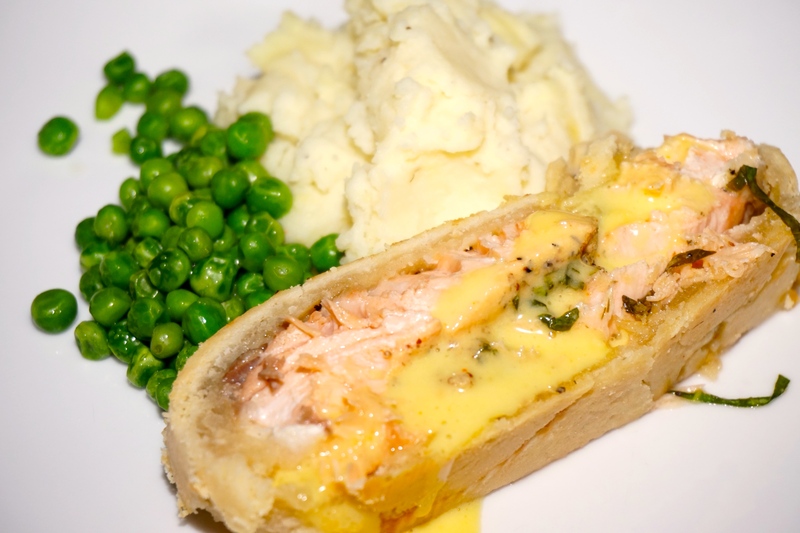 A few weeks ago I was watching a Gordon Ramsey cooking show where his daughter told the competitors that her favorite family meal made by her father Gordon was Salmon en Croute. So I made a mental note to keep that idea in mind for a nice dinner with the hubby. 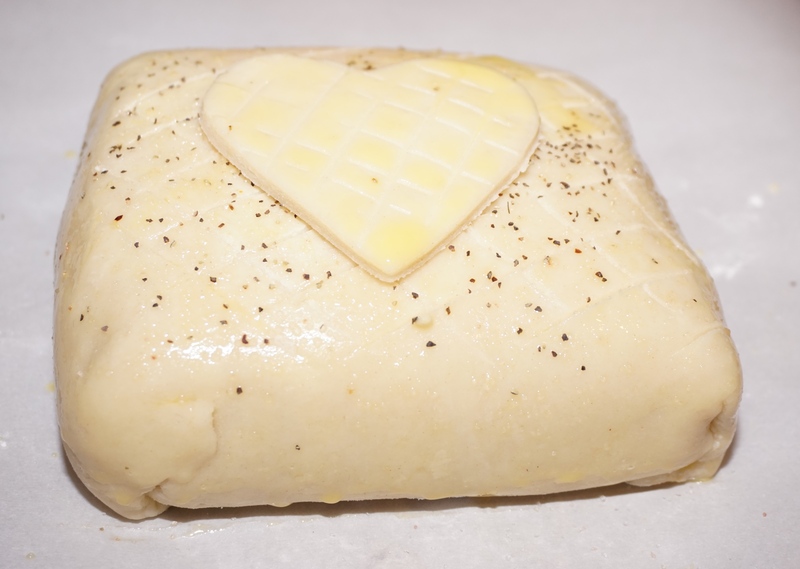 Place flour, salt and cold butter cubed in the food processor, pulse till it looks like crumbles and then add the water whilst pulsing. 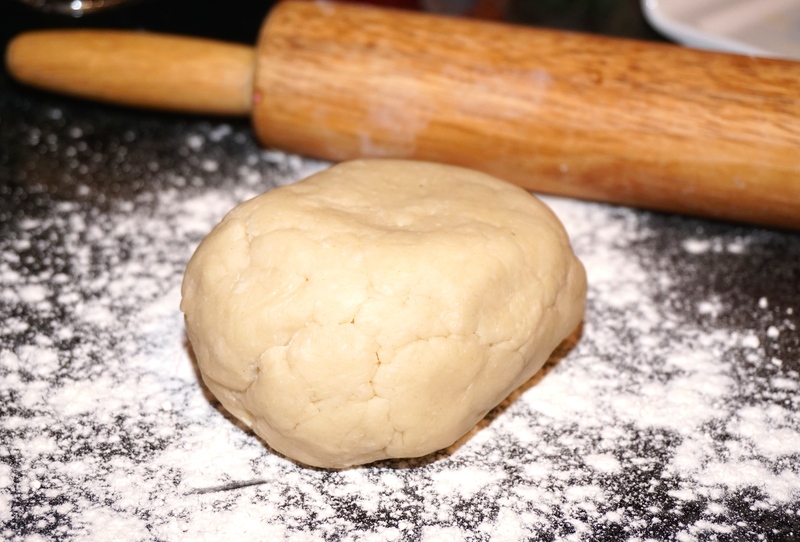 Do not over knead. 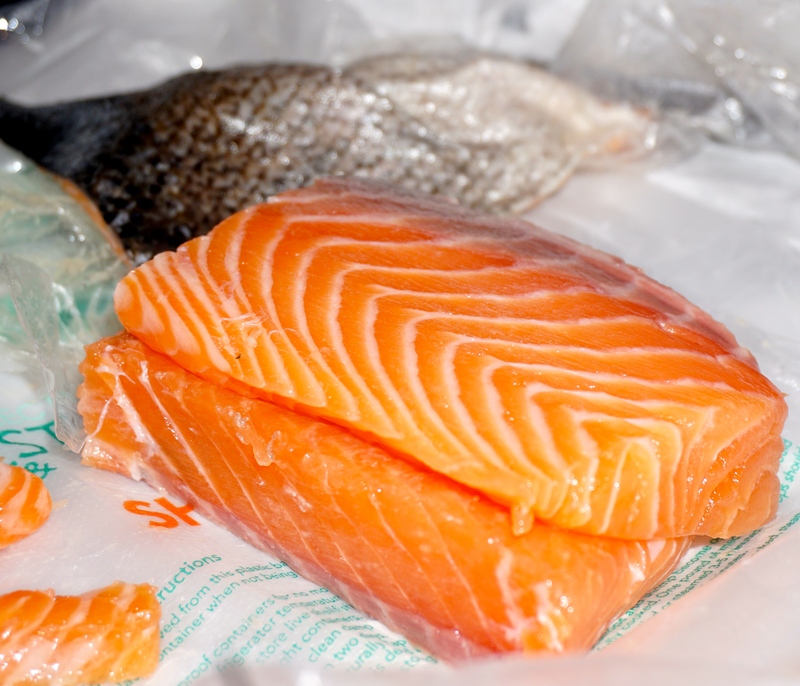 Wrap in cling film and place in fridge for at least 15 minutes. Whilst the dough is chilling out, I got my salmon, took the skin off, hunted for hidden bones and then sliced it in half. In a bowl I mixed 1/2 stick of butter with a handful of chopped basil and dill, a grating of lemon rind, salt and pepper until nice and creamy. 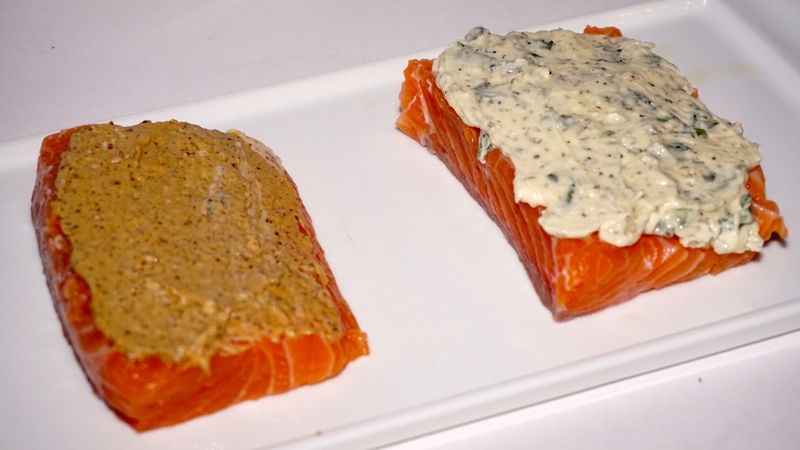 Then I placed both salmon pieces side by side and topped one of them with the herb butter mixture and the other one with a tablespoon of wholegrain mustard and then stacked them together leaving the herb butter and mustard in the middle. 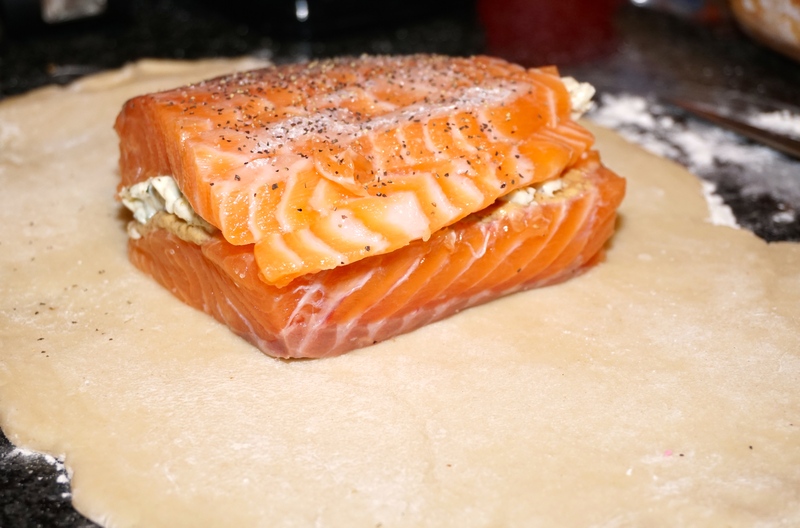 I took out my dough and rolled it out into a rectangle, placed the salmon in the middle and wrapped it into a neat little parcel, cutting off the excess dough and sticking it together with egg wash. Carefully turned the package upside down so that the seams are at the bottom and then lightly egg washed the entire package. 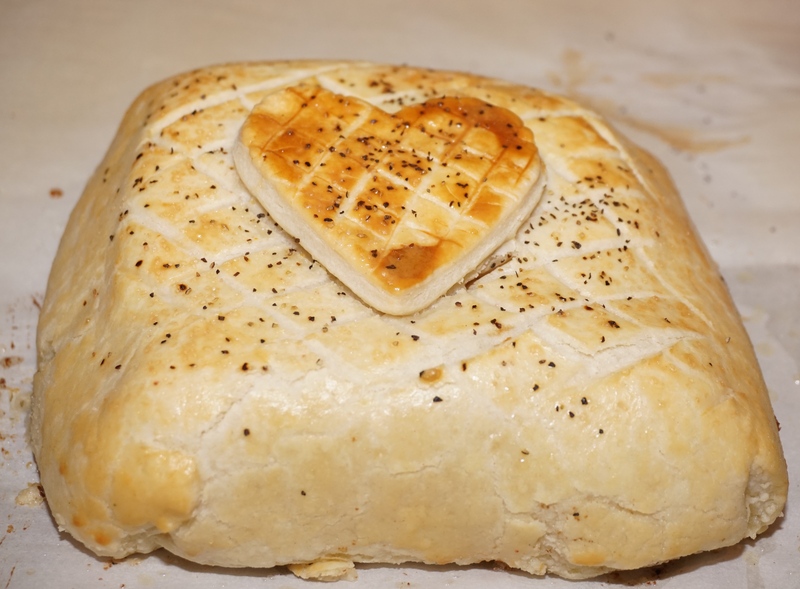 Lightly scored it with a cross-hatch pattern and I had a little dough leftover so I cut out a cute heart to decorate my package of love. Into the fridge it went for 15 minutes. In the meantime I got my oven heated to 400 deg F, and into the oven it went for aprox 25 minutes. While it was cooking I mashed my potatoes, made some minted peas and a delicious hollandaise sauce (check out this quick and easy blender recipe). Out of the oven it came, I let it rest for 5 minutes or so while I plated the mashed potatoes and peas and then sliced it with a serrated knife. The hubby ❤ made a comment that we should have the salmon made this way more often, which to me means it got a huge seal of approval :-).